Fully customize your text: These socks can be personalised with a name, a special message, memorable date or of a picture/photo of your choice which make these aprons the perfect gift for yourself of someone you know for any occasion. Long lasting: The design is printed with vinyl. This means it will last hundreds of washes and will never peel or fade. 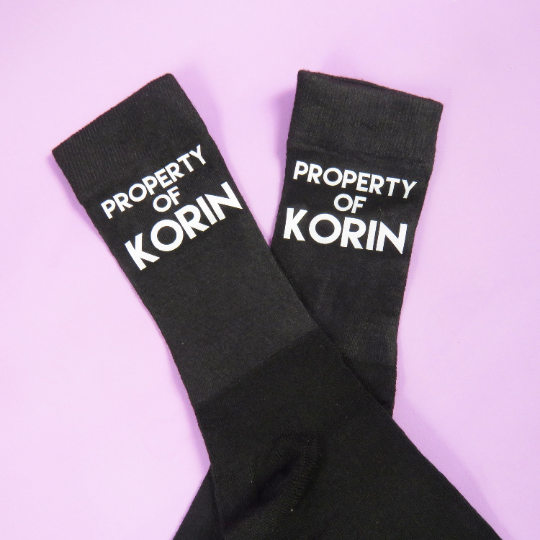 Socks: A perfect gift for anyone in your wedding party! Are you having a wedding and need the perfect thank you gift? These are the items for you! Each design can be personalised and customized to suit your needs.